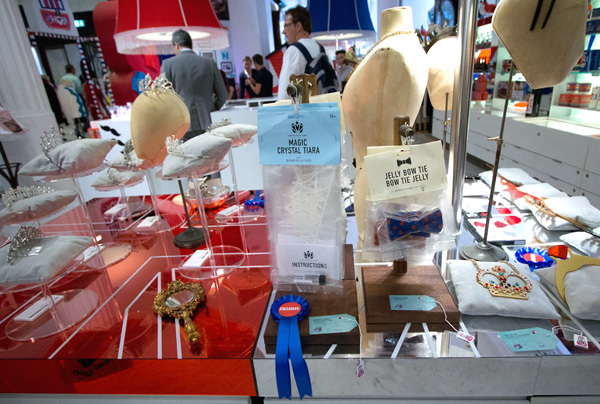 A selection of tiaras in the Wonder Room’s Big British Shop. 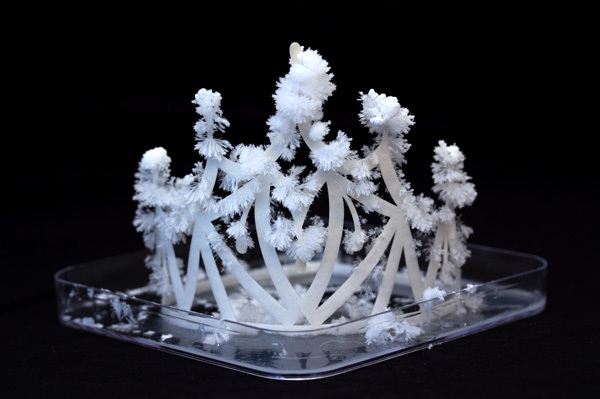 In addition to the expected blingy tiaras (like a 52,500 GBP diamond grace tiara, and several jewel-studded pieces priced in the millions) and royal replicas, the shop has lots of fun laser cut acrylic tiaras from Tatty Devine. 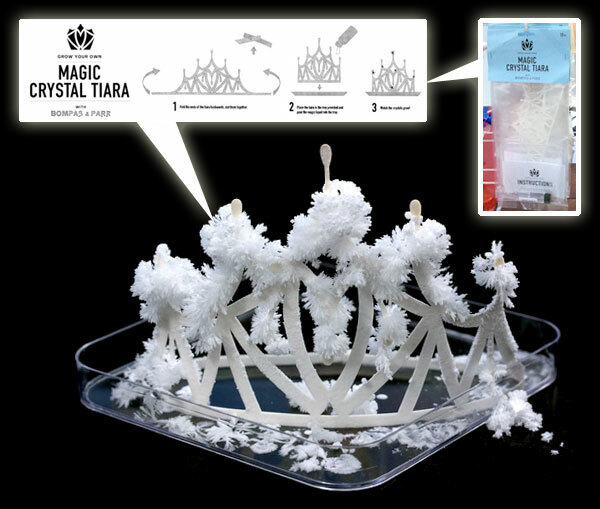 But the tiara that caught my eye was the Magic Crystal Tiara from Bompas & Parr. 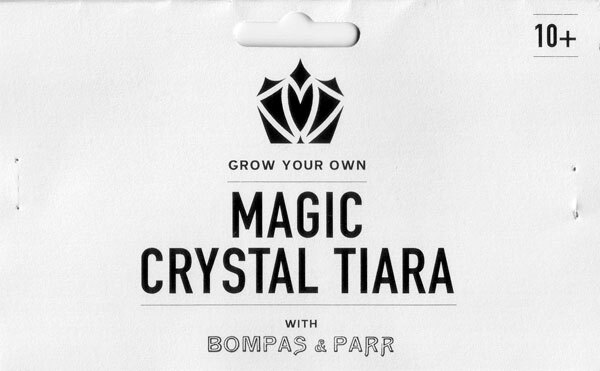 A festive grow-your-own crystal tiara! How could we resist? 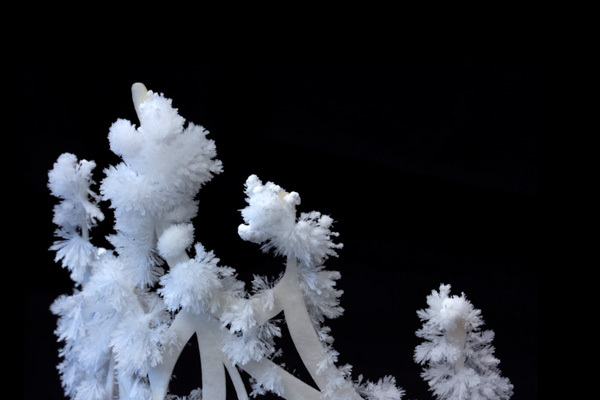 With ‘just add chemical’ construction, it was simply a matter of pouring and waiting for the crystals to grow! Watch our tiara grow! 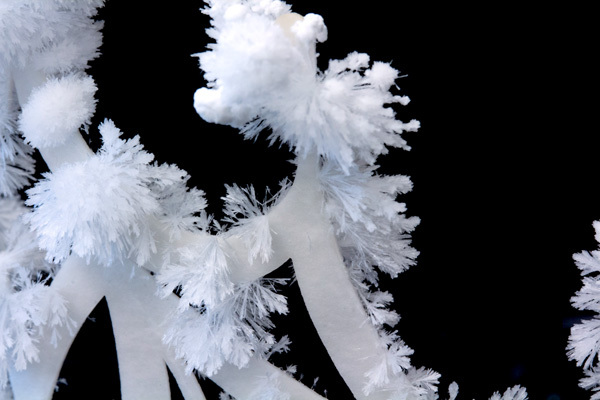 The whole video captures about six hours of crystal growth with photos taken every 5 minutes. A look at our completed tiara! 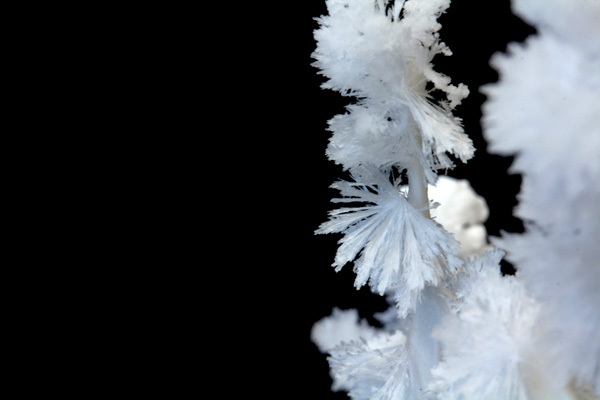 Find out more about magic crystals and how to make your own via instructables.